If you came to this page looking for a feature on George Clooney, Harrison Ford or Sean Connery then sorry to disappoint you – this is the wrong place! This particular silver fox has been around a good deal longer than the movies though its story could be easily made in to a film without a doubt. 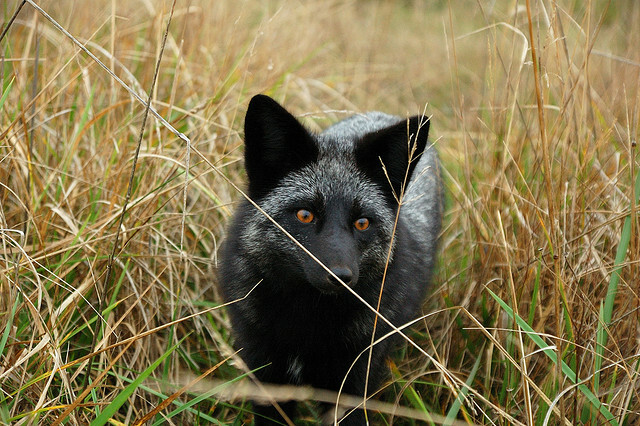 You could also be under the impression that the silver fox is a species related to the red fox. There, too, you would be mistaken. They are the same species. 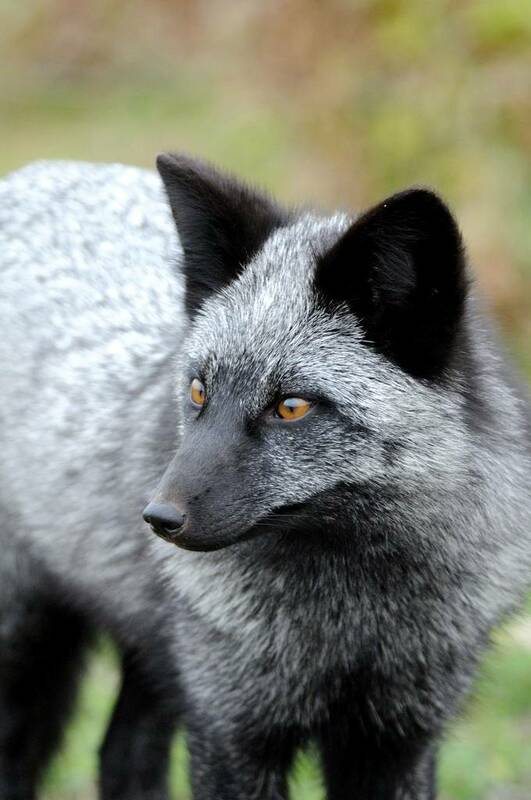 The silver fox looks so different to the red because of something called melanism. Effectively, this is the opposite of albinism – it is the development of a dark pigment in the skin or fur of animals. So, although a silver fox may look like a visiting relative it is still the Vulpes vulpes that we see more regularly in its red form. 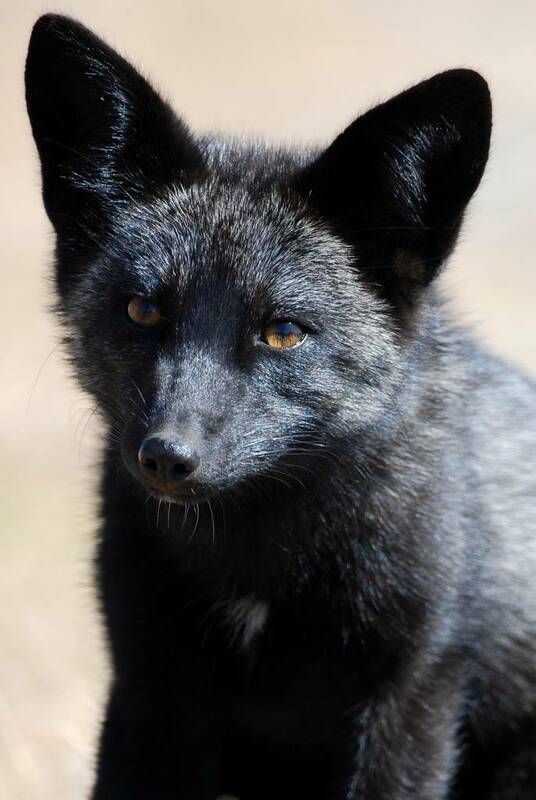 However, the rarity of this melanistic mutation has meant that throughout history the silver fox has been even more persecuted than its red counterpart. 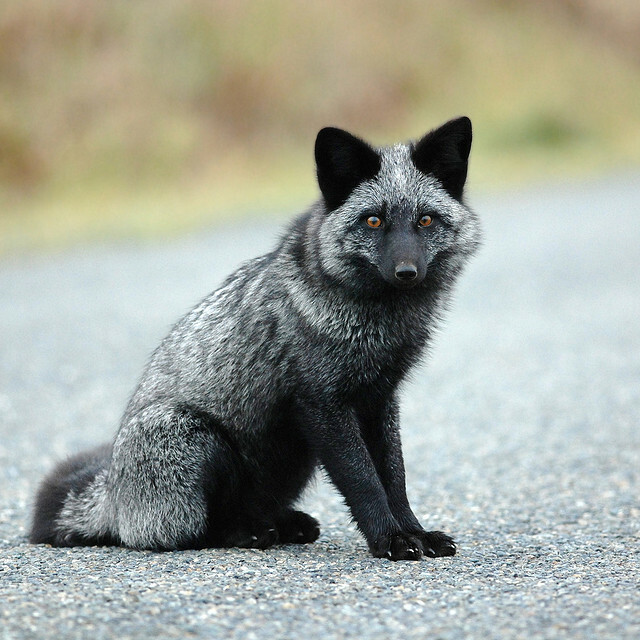 The pelt of the silver fox can vary wildly in color. Although many are almost completely black (which a white-tipped tail) many are gray-blue while others are gray tinged with copper. As a result of their infrequency they were much in demand by the nobility of Western Europe, Russia and even as far as China who wished to appear a cut above their subjects. Dyed fur simply wasn’t acceptable: the pelt of the silver fox, however, was uncommon and therefore much sought after. You can see the variation in the fur in the picture above of a single litter. 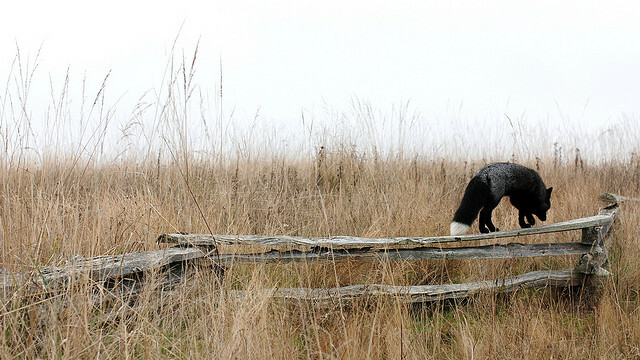 Three fox kits on San Juan Island, Washington state. They live wild on the meadows. That is a rabbit fence behind them, not a cage. 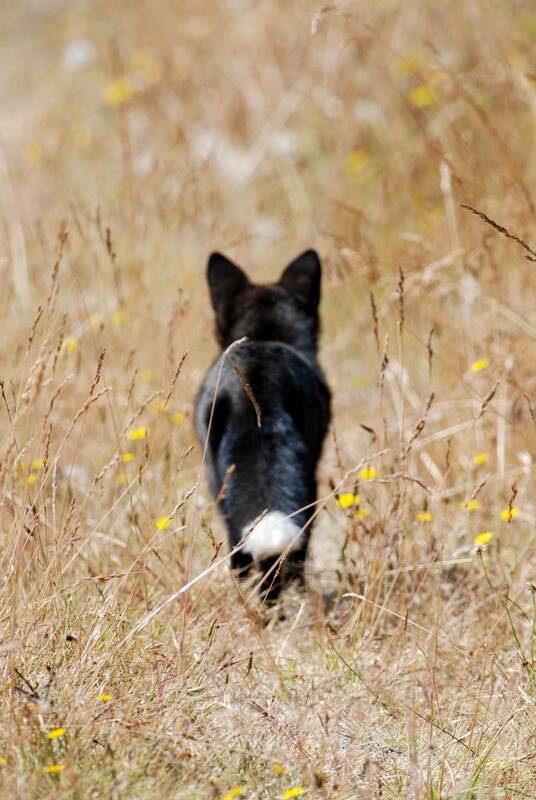 They are born free, unlike so many others of their kind. There was one snag for hunters looking for silver foxes. In the wild silver foxes will mate with any fox, red or silver. 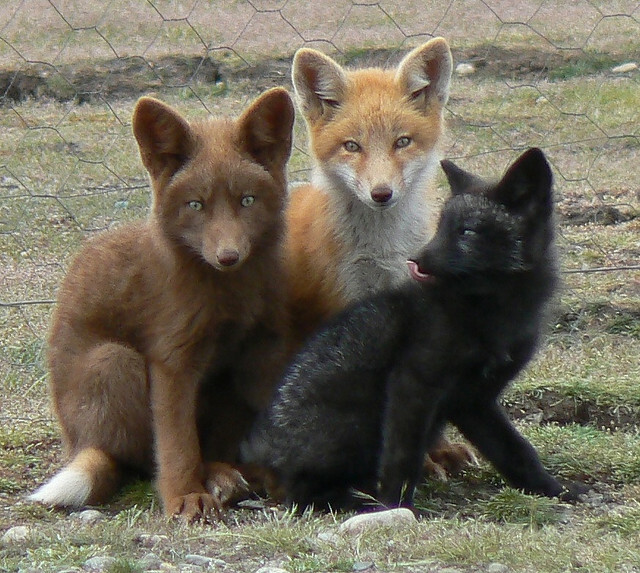 So when one breeds with the more common red fox the resulting litter is predominately red. 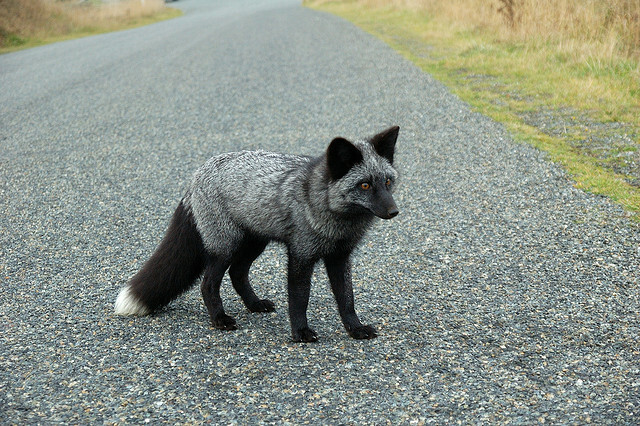 A silver fox breeding with another will produce a litter of the same color. At some point a solution was created: farming. 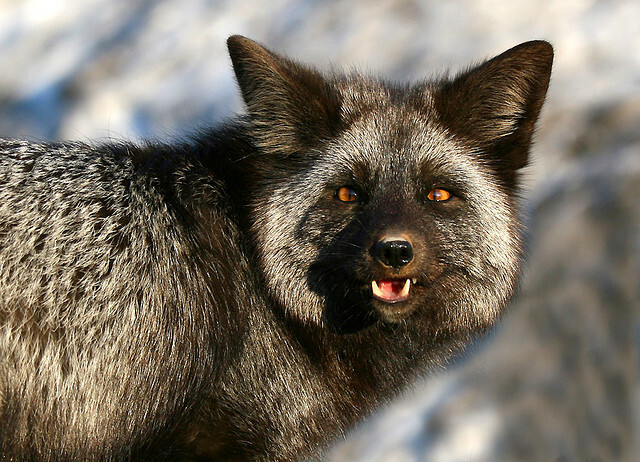 For the silver fox, the first attempts at farming in North America were a disaster. 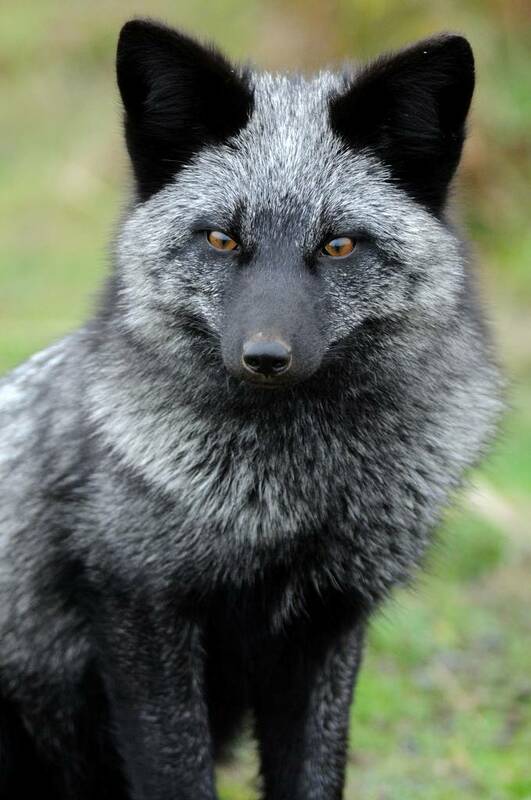 To begin with, any silver fox caught would be spared death but released on to small islands with other silver foxes in the hope that a colony would be formed. As a result the foxes generally starved to death. Another barrier was that foxes mate with a single partner for life – they do not bond with another fox once imprinted on their original choice. 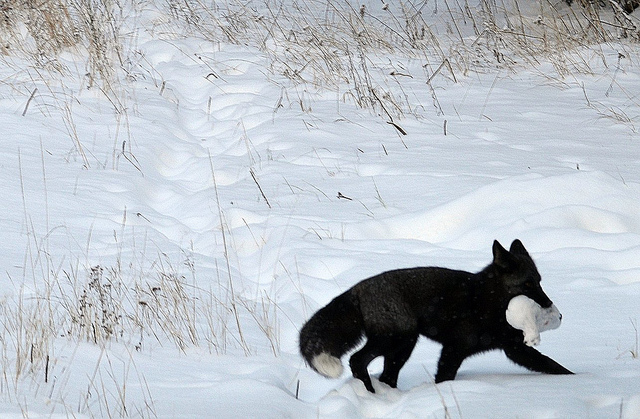 Of course, initial failure did not deter those wishing to exploit the silver fox for its pelt. By the 1900s the practice had been perfected. 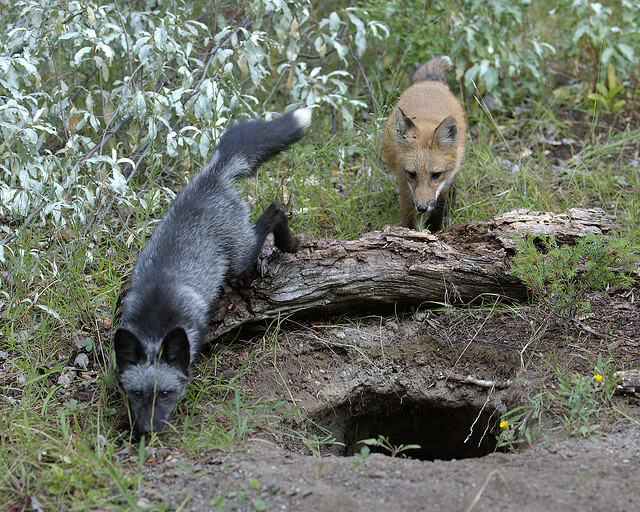 Silver foxes on farms were bred strictly with those of their own morph and by the third generation any traces of red lineage had disappeared. By 1910 there were over 100 fox farms in Canada. The first European farms appeared in Norway in 1914. 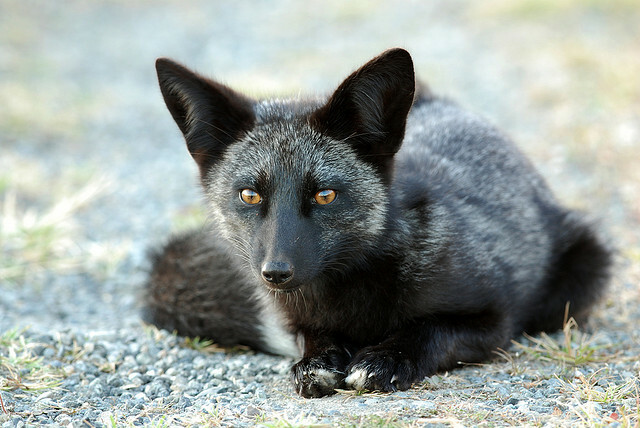 The silver fox has adapted to its farmed environment over the generations and nowadays such fox breeding has spread to many European countries. In fact, fox farming in general is still a huge business globally. Europe alone produces over 2 million pelts a year with an astounding number of farms breeding foxes in captivity – over 1800 at the last count. 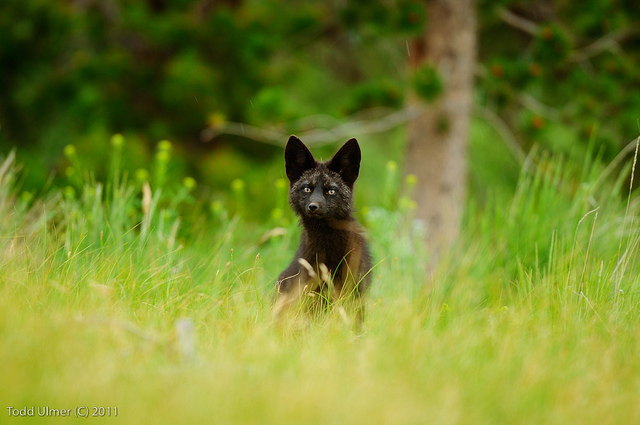 There has also been a systematic 50 year attempt in Russia to domesticate the silver fox. 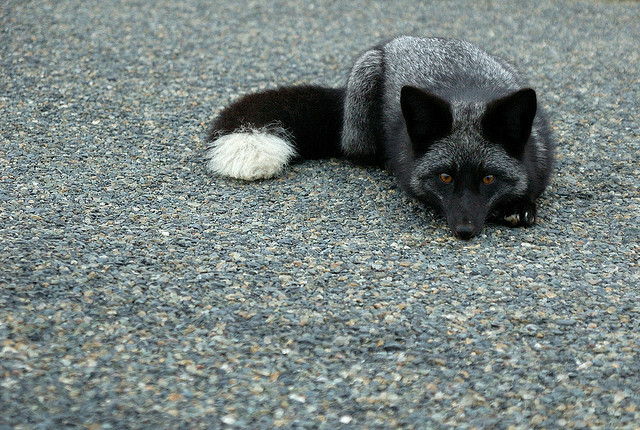 Yet nothing beats the sight of a silver fox in the wild – as it rightly should be.